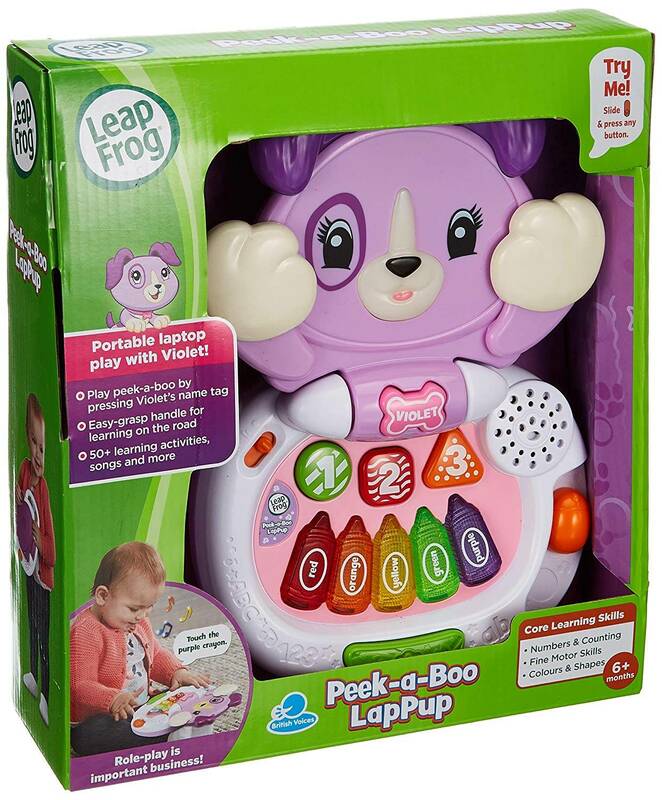 Press and play with Violet on the portable Peek-a-Boo LapPup! With more than 40 learning activities, baby will be introduced to numbers, colours and shapes. 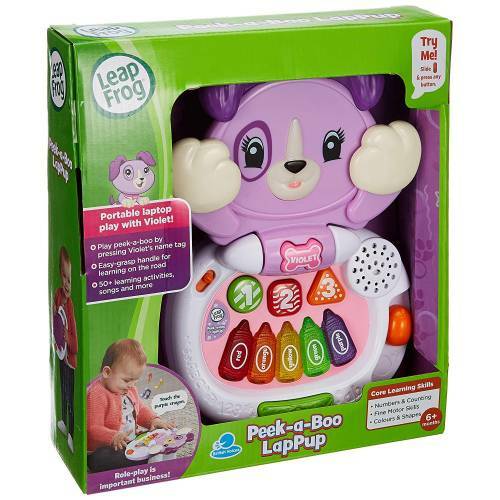 Press Violet’s name tag to play a fun game of peek-a-boo and open and close the LapPup to learn opposites. The 5 colourful crayon keys play colour names and music notes while the shapes and number buttons voice out shape and colour names and count along with Violet. Press the musical space bar to playing rhyming songs about colours, numbers, shapes and the abc’s! 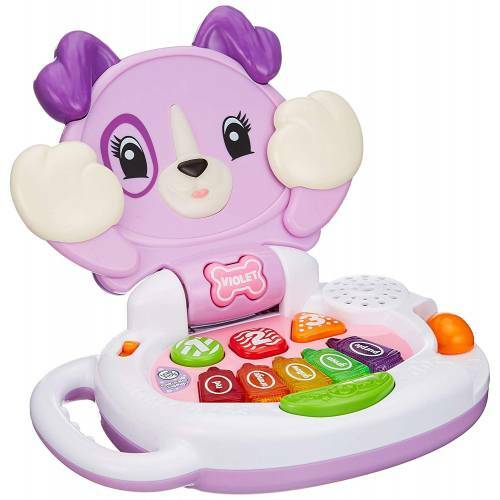 Slide the mouse to build motor skills and hear cute learning phrases.